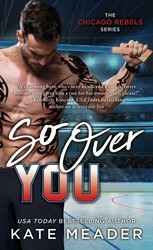 Isobel is at a crossroads in her personal and professional lives, but both are about to get a significant boost with the addition of a domineering Russian powerhouse to the Chicago Rebels hockey team! He's known as the Czar of Pleasure...Da! Da! Da!